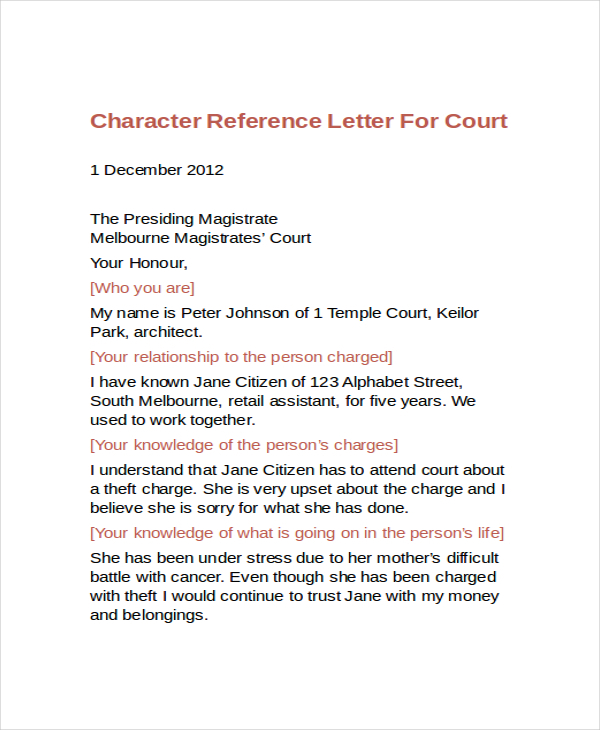 A Character reference letter is also known as the personal reference letter. It is a letter that is provided by the person who can serve as clear evidence of your personality and character or one who can define your credibility. It is mainly written by a family member, friend, teacher or colleague but not your employer. 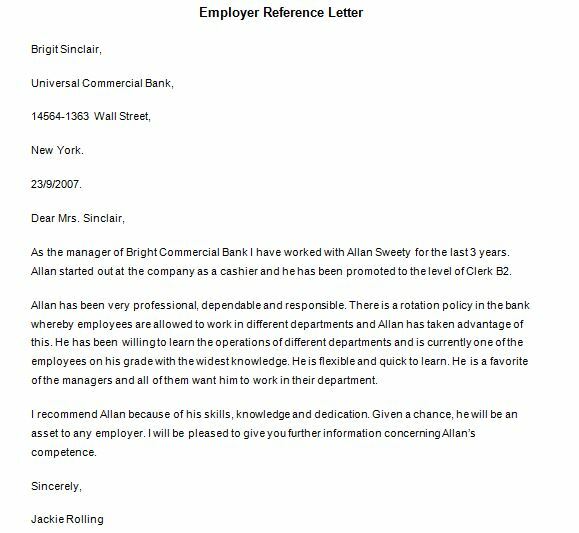 It is very important that your letter should be specific and simple that can give the right impression of the person whom you are mentioning. It is used in many places like when applying for job or institute, applying for a loan in the bank, used in court to describe the accused person. 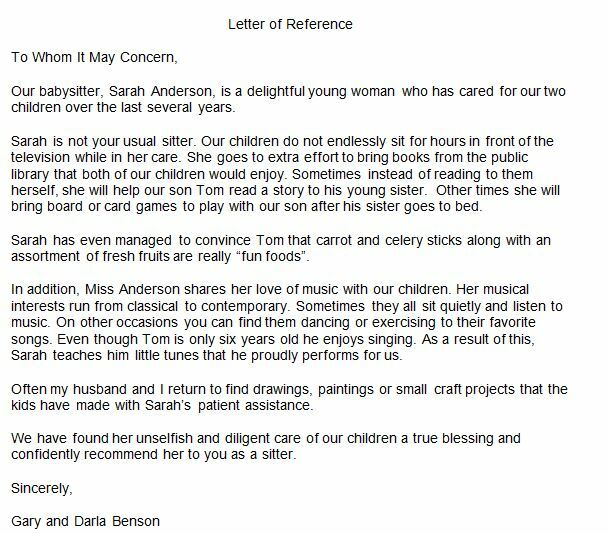 This page is loaded with best personal/ character reference letters, sample, example, and templates. Feel free to use any of these samples and templates to create your own per personal/ character reference letter. One quick tip, make sure to follow the correct format and layout, the writing tone should be formal, concise, and to the point. Here are few letter samples, check them out to find the best one as per your need or requirement. Close friends or family are best to avoid as their reference may be considered biased. A good character reference can be from someone like teacher or mentor. Someone who knows you for a long time and is in regular contact as this person can provide an up to date reference. It is expected to be favorable but a measured and qualified praise could work much better as the employer wants an honest appreciation of your skills and ability. The referee must ask for the resume and cv letter from the candidate before writing the letter. The referee must be careful in his/her word and must understand the purpose of the reference. The referee should also have knowledge of the person whom he/she referencing. Length of character reference letter must not be more than one page. It should be the proper format. It should be single-spaced with a space between each paragraph and align your text to the left. Use a standard font like Times New Roman, Arial or Calibri. The font size should be between 10 to 12. Check your letter thoroughly before sending it. 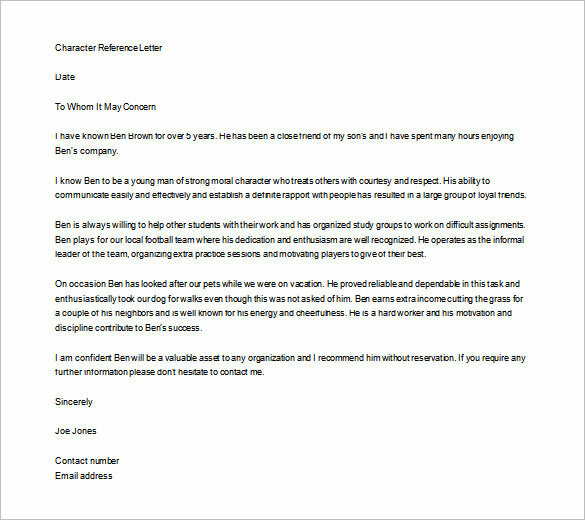 Character reference letter must contain the following information. How referee knows the candidate. How long referee knows the candidate. How candidate’s ability suits the role for which they are applying. The referee must provide contact details for any clarification if required. 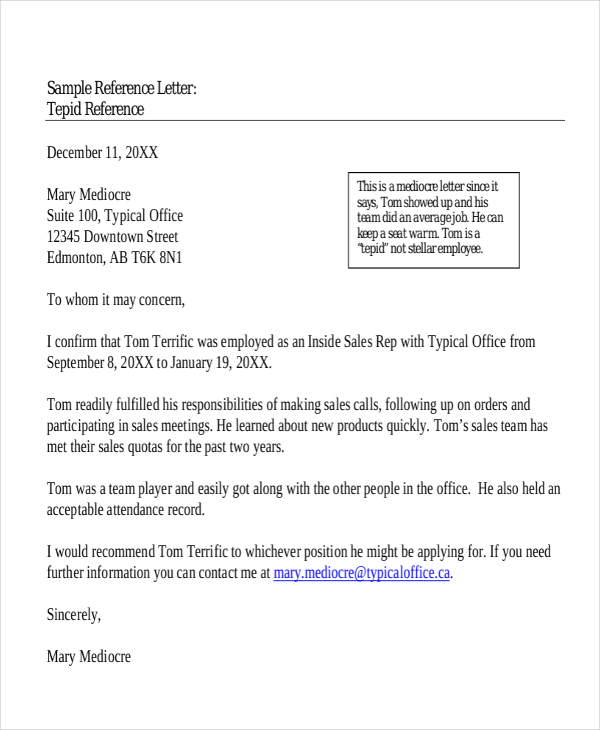 A character reference letter should provide your relationship with the candidate and reason for your recommendation. The following format will provide you with idea and suggestion on what to write and how to provide a compelling reference. In the first paragraph, you should mention information on who you are, your connection with the candidate you are recommending. It contains specific information on candidate’s ability and how candidate’s skill can contribute and why you are providing a reference letter. Use specific examples to explain candidate’s skills and credibility. It contains a brief summary of reason for your recommendation. It also contains an offer to provide additional information and clarification if required. 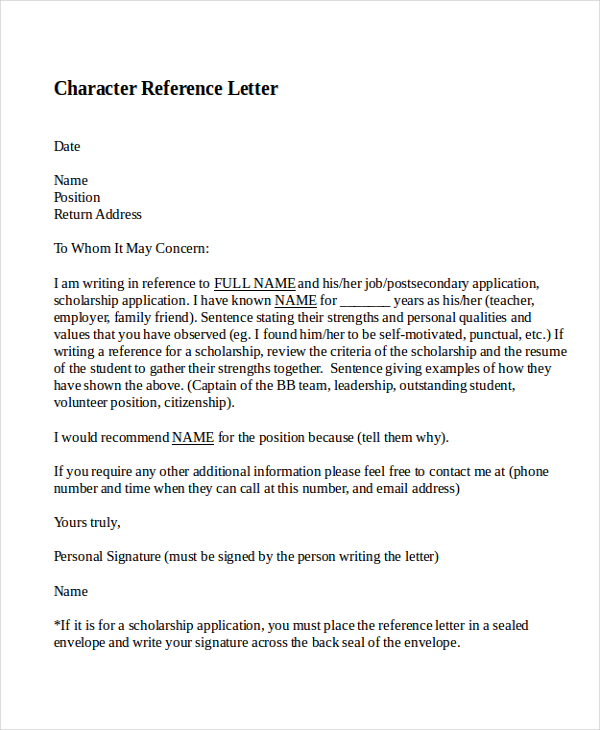 We hope that you might have downloaded character reference letter as of now. If yes, then why not share this post with other people as well on social media platforms. If you need any specific reference letter, then let us know through the comment section. Keep checking this space for more reference letters and other important letter templates.